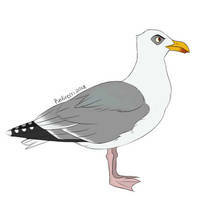 I've had a gull for well over a year now and he still doesn't have a ref, and he's my favorite of all of my gulls. I'm gonna need to make him one. here. he's not much but i really love your gulls.